I interrupt our normal programming with a somewhat batshit story about an airplane, a college student from Florida, and her dwarf hamster, which was named Pebbles. 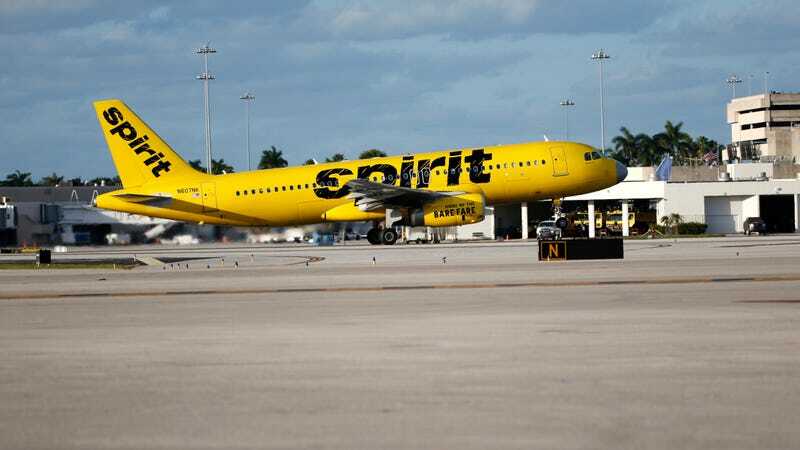 Pebbles is no longer with us, because, the college student says, Pebbles was flushed down a toilet on the advice of a Spirit Airlines employee after Pebbles was refused entry on a flight. Aldecosea says that, prior to her trip late last year out of Baltimore/Washington International Thurgood Marshall Airport, she called the airline twice to confirm that Pebbles, which Aldecosea says was a “comfort animal,” was allowed on the flight. Both times, she was told that Pebbles was. But when she got to the airport, she was told the opposite. For hours, Aldecosea said, she struggled with what to do. She contacted at least six rental car agencies, but no cars were available during the busy holiday season and she wasn’t old enough to rent a car anyway. A Greyhound bus would have taken days to get to South Florida. With her flight boarding soon, she pondered whether to just let Pebbles free outside. She said she considered it more humane to end her life right away, and not let her run around scared in the cold, only to die getting hit by a car. A TSA spokeswoman told the newspaper that hamsters, including Pebbles, are welcome at its checkpoints, though they, too, have to pass the requisite security checks. And, indeed, comfort animals aren’t just dogs and cats, expanding in definition in recent years. As they should! Your mental health is your business. Airlines, though, have also tightened rules on them, which is apparently what Aldecosea ran up against, even though she says she has a doctor’s letter endorsing Pebbles. Still doesn’t explain why Pebbles couldn’t just live, though.